Discussion in 'The Lounge' started by Heidi, Mar 5, 2008. I have a weird urge to buy one and learn to ride. Anyone else own one? There are at least 5 kids in my neighborhood that ride them and I feel the need. How does it differ...stronger wheel? I have a cheap one. Pad your ankles - you tend to beat the crap out of them when learning. LOL! Sq-Earl has been debating getting one for a little while now. He thinks it would be fun to learn. I know that I would kill myself. I have enough trouble staying uprigth on a bike with 2 wheels! ^^ ditto. I had one for a few weeks. Coudn't get into it enough. The larger the wheel, the easier it will be to learn. The trials uni has a 19" tire (like a mod bike's rear tire). 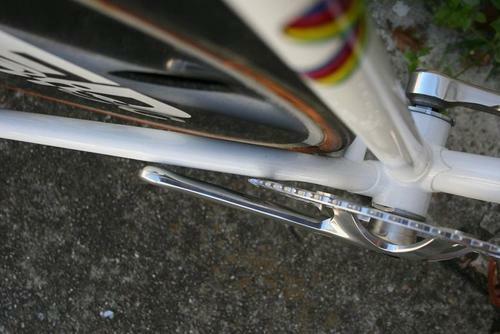 The frame is steel and the cranks are extra beefy. I beat my ankles and shins up trying to ride it. I can already juggle, maybe I'll join the circus! I had that same urge and bought a cheapy Torker 20" unicycle. I learned how to go forward, kind of backwards, and hop around. It went on Craigslist 4 months later. Save your money and buy a pair of rollerblades instead. They're much cooler. I posted a thread like this last year. Seems like the concensus is, don't bother unless you're going to dedicate the time. 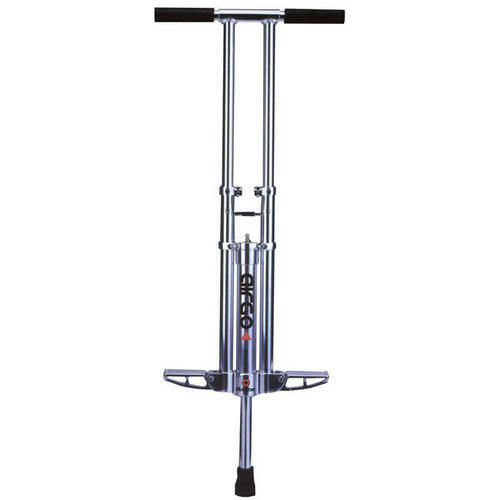 I'm thinking of buying a pogo stick. I don't like rollerblading. I tried it already. I rock on stilts. I learned at a young age. My son's old roommate had one and was good at it. I fail to see a use for it as walking seems to work just fine and is a good deal safer. Check CL, get one cheap so you won't be mad when you sell it for a loss. I got one of those too! I rock this pneumatic pogo stick when I'm bored.